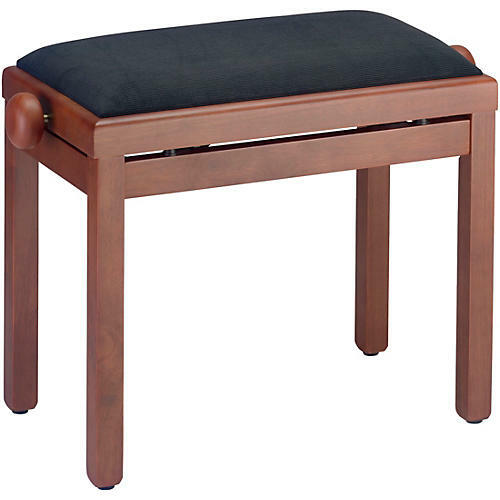 Height adjustable piano bench with velvet top. Play for hours on this comfortable piano bench with black velvet top. It's height is adjustable from 19.3" - 23.23". Top dimensions (L x W): 21.6" x 12.6"